How is a Business, or organisation, responsible for taking a decision based on ‘rights and freedoms’ of an individual, to know whether they should report a data breach or not? A critical deciding question for arriving at a decisional conclusion is whether the ‘rights and freedoms’ of the subject have been put at risk (GDPR 2016/679. Art. 33 (1))? So what are these ‘rights and freedoms’ which have such a pivotal role in how an individual’s data are to be cared for? ‘Rights and freedoms’ are mentioned 77 times in the GDPR, 39 in the Recitals and 38 in the Articles so one might be forgiven for thinking that such an important and oft-used phrase would receive some definitional coverage in the Article 4 definitions, but sadly I found none! Oh well! ‘It will be mandatory to report a personal data breach under the GDPR but only if it’s likely to result in a risk to people’s rights and freedoms’. Clearly, the decision maker has an important question to consider. 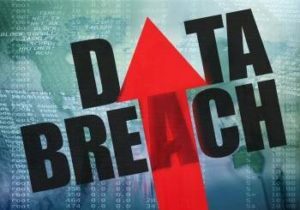 Is the data breach such that the ‘rights and freedoms’ of the individual are sufficiently at risk? ‘This Regulation protects fundamental rights and freedoms of natural persons and in particular their right to the protection of personal data’. So, what are my (fundamental data protection) rights? The Irish Data Protection Commissioner’s website outlines a helpful list of rights (10) available when a person or organisation takes and records your personal details and urges (with a disclaimer) careful reading to make sure that you are aware of your rights. A data controller who holds information about you must: get and use the information fairly; keep it for only one or more clearly stated and lawful purposes; use and make known this information only in ways that are in keeping with these purposes; keep the information safe; make sure that the information is factually correct, complete and up-to-date; make sure that there is enough information – but not too much – and that it is relevant; keep the information for no longer than is needed for the reason stated; and give you a copy of your personal information when you ask for it. Data controllers who obtain your personal information must give you: the name of the organisation or person collecting the information or for whom they are collecting the information; the reason why they want your details; and any other information that you may need to make sure that they are handling your details fairly – for example the details of other organisations or people to whom they may give your personal details. If an organisation or individual gets your personal details from someone else and not directly from you, they must tell you which details they hold and give you the name of the original data controller. You can ask for a copy of all your personal details by writing to any organisation or person holding these details on a computer or in manual form. See the section below on ‘How to request access to your details’. You can also ask the data controller to inform you of any opinions given about you, unless the data controller considers that the opinions are confidential. Even in such cases, your right to such information will usually be greater than the right of the person who gave this opinion in private. This right does not apply, however, in a small number of cases where it could harm certain interests – for example when someone is investigating an offence. If you think that an organisation or individual may be holding some of your personal details, you can ask them to confirm this within 21 days. If they do have personal details about you, they must tell you which details they hold and the reason why they are holding this information. You can ask for this information free of charge. If you discover that a data controller has details about you that are not factually correct, you can ask them to change or, in some cases, remove these details. Similarly, if you feel that the organisation or person does not have a valid reason for holding your personal details or that they have taken these details in an unfair way, you can ask them to change or remove these details. In both cases, you can write to the organisation or person, explaining your concerns or outlining which details are incorrect. Within 40 days, the organisation must do as you ask or explain why they will not do so. You can also ask a data controller not to use your personal details for purposes other than their main purpose – for example for marketing. You can do this by simply writing to the organisation or person holding your details and outlining your views. Within 40 days, they must do as you ask or explain why they will not do so. If a data controller holds personal details about you for direct marketing purposes, you can ask them to remove your details. You can do this by writing to the organisation or person holding these details. They must let you know within 40 days if they have dealt with your request. This right does not apply if: you have already agreed that the data controller can use your details; a data controller needs your details under the terms of a contract to which you have agreed; election candidates or political parties need your details for electoral purposes; or a data controller needs your details for legal reasons. So, looking at the Commissioner’s website, fundamental data protection rights appear relatively prescriptive at first glance! What are my (data protection) freedoms then? So, there you have a very brief definitional outline of rights and freedoms as they relate to personal data. Of course there are more legal elements (Acts, S.I.s, Directives, Case Law and so on…) to consider as you drill deeper into the subject but the foundational information above gives some indication of the potential legal complexity attached to uttering the words ‘fundamental rights and freedoms’ (of natural persons) in the context of a decision to report (or not) a personal data breach under the GDPR (Art 33 (1)). A business or organisation, in essence, is expected to assess the likelihood whether a breach results in a risk to the above rights and freedoms and then affirmatively take action or not. No small matter in my view. I believe, it is important to be clear on the basic rules of a regulated area relying upon principles based rather than rules based law. Data Protection training is a key element for engaging with the GDPR satisfactorily and I believe it is time now for relevant businesses and organisations (who have not already done so) to check out the options available in preparation for the arrival of this Regulation and other legal developments in data protection, whether it be self-informing or enlisting outside assistance. Time now also for the creation/review and updating of adequate in-house data protection policies/systems to assist business decision-making and compliance.